Parish News, Catholic News, Corpus Christi + Our Lady of Mercy. Dayton Ohio. Articles may contain links that take you to another website. Please be aware that we are not responsible for the content or privacy practices of other sites. We are also not responsible for any viruses, spyware, malware or other damages caused by visiting these other sites. We encourage our visitors to be aware when they leave our site to read the privacy policies of these other sites. The Parish Office, also called the Parish Center, is open Monday through Friday during the hours of 8:30am to 4:30pm. We are closed for lunch between 12:30pm and 1:30pm. The office is closed on many national holidays - Please check the event calendar or bulletin. The office may also be closed during inclement weather, staff retreats, etc. We encourage you to call us at 937-274-2107 to make sure someone is here particularly if travel is difficult for you or you are traveling a long distance. We are located at 220 W. Siebenthaler Ave. Dayton, OH 45405. As usual Funerals will replace Daily Mass. Placed in the Sunday collection basket in an envelope marked "bulletin"
Dropped off at the Parish Center during regular business hours. Our Lady of Mercy Coffee Klatch is held from September thru May directly after the 9:30 a.m. Sunday Mass in Founder's Hall. Each month it is hosted by a church group, committee, commission or family. Would you or your group like to host a Coffee Klatch? Please email: nsiwecki@OurLadyOfGraceDayton.org for more details. Please visit the Our Lady of Grace YouTube® Channel. Check back periodically for new items. The founding of Our Lady of Grace Parish was recently featured in the January 2015 edition of the Catholic Telegraph. Click the link below to for the full article on the Catholic Telegraph website. Click to Read More at the "Catholic Telegraph". Our Lady of Grace Parish Officially Decreed! Most Reverend Dennis M. Schnurr, Archbishop of Cincinnati, has officially decreed the formation of Our Lady of Grace Parish to be effective Monday, September 15, 2014. This decree officially merges Corpus Christi Parish and Our Lady of Mercy Parish into one Canonical Parish - Our Lady of Grace. It has also been decreed that both Corpus Christi and Our Lady of Mercy will serve as two coequal parochial churches, retaining their original names, as the Our Lady of Grace worships sites for the proper celebration of all Catholic liturgical rites and reservation of the Blessed Sacrament. A transition team has been assembled by Parish Council to facilitate the merger. The Our Lady of Grace Transition Team has prepared and sent a letter via the US Postal Service along with a copy of Archbishop Schnurr's Decree to all current parishioners of Corpus Christi and Our Lady of Mercy. You may also view the letter and the Decree by clicking the link below. A full operational transition may take several months and the Transition Team is committed to keeping you informed via, at a minimum, the weekly bulletin, Sheep & Goats Gazette, Facebook, pulpit announcements and this website. Stay tuned as more details are worked out and become available. 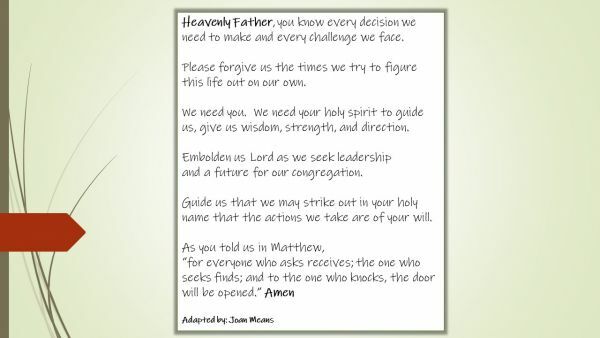 Click here to read the Transition Team letter and the Archdiocesan Decree.